BattleTech: The Crescent Hawks' Inception (full title, officially misspelled as "The Crescent Hawk's Inception") is a 1988 computer game by Infocom/Westwood Associates set in the BattleTech universe. The player assumes the role of 18-year old Jason Youngblood, son of famous MechWarrior Jeremiah Youngblood and himself a cadet training at the Pacifica Training School on the Lyran Commonwealth planet of Pacifica (Chara III). When the planet is invaded by the Draconis Combine he must evade capture and rally his father's former unit, the Crescent Hawks, to thwart the enemy plans. 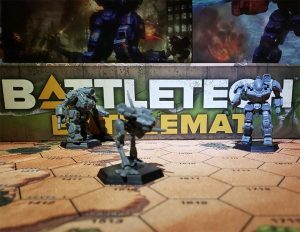 Computer games are explicitly excluded from the list of products that contribute straight Canon to the BattleTech universe while at the same time it was stated that the IP owners are "not in total denial about these sources either". It was also stated that fluff from certain official, licensed products (namely certain computer games including those produced by Infocom) "can be assumed to be part of the shared universe as long as it is not directly contradicted, and makes sense". On this premise, The Crescent Hawks' Inception is considered an apocryphal product. The Crescent Hawks computer games in particular are looked upon favourably in terms of canonicity. Many aspects from these games' storylines were later written into canon proper through other publications, including the Crescent Hawks unit, Jeremiah and Jason Youngblood and the Crescent Hawks' connection to the Kell Hounds. No dates are given, but conjecture indicates the game's storyline to be set in 3028, shortly before the wedding of Melissa Steiner to Hanse Davion on 20 August of that year. The game begins with Jason (the player) standing before the House Steiner Citadel, the center of Lyran Commonwealth operations on Pacifica. This stage provides the player with an opportunity to learn the game controls and acquire money, skills and equipment. It also provides background information. Five consecutive training missions at the Training Center teach Jason (and the player) how to pilot a BattleMech and how to fight in it. Each mission must be repeated until it is completed successfully. Starting with the sixth mission, Jason gets to fight increasing numbers of 'Mechs in mock battles. For each mission Jason gets to chose his 'Mech from among a Locust, a Wasp and a Chameleon. The citadel is located in an urban area that Jason cannot leave at this point in the game. It also encompasses the Barracks and Training Center as well as a Lounge and the some other facilities. Besides training as a 'Mech pilot, Jason can invest his money in training for a multitude of skills in various fields by taking courses at the Citadel or an apprenticeship at the Mechit-Lube ('Mech repair shop), and purchase personal equipment. At the local ComStar station he can invest in the stock market to gain (or lose) C-Bills; available stocks are Defiance Industries of Hesperus II (DefHes), Nashan Diversified (NasDiv) and Baker Pharmaceuticals (BakPhar). Because Jason is the son of Jeremiah Youngblood, the Captain of the security forces, he can even briefly visit Katrina Steiner who is present at the citadel on a stopover en-route to her daughter Melissa's wedding on Terra. However, the visit only yields a friendly reminder from her to attend training and take courses. At a random point in the training exercises during any mission after the fifth, Jason suddenly comes under attack from a Lance of Jenners with live weapons - House Kurita has launched a lightning raid on Pacifica. The Citadel is destroyed around him, removing all barriers in the process. Jason can thus leave the training grounds, taking his last training 'Mech with him if it is not destroyed by the attackers. He escapes into a world crawling with enemies. This is the main part of the game, taking place in the aftermath of the Kurita attack. A fugitive, Jason must exchange his uniform for civilian attire. He happens to witness the inauguration festivities of the new Kurita government at the starport, where he meets Rex Pearce, an old friend of his father Jeremiah and a member of the Crescent Hawks. The Kurita raid appears to be aimed at a hidden Star League depot full of valuable spare parts which Jeremiah Youngblood had recently uncovered. To bypass the security systems and enter the depot, they will need both Rex's retina scan and a password which is recorded on a holodisc that Jeremiah left for Jason. Unfortunately, before the disc can be viewed it is damaged in a shootout with enemy forces. Jason and Rex proceed to visit numerous towns, follow leads and fight enemy infantry and BattleMechs. They reactivate other Crescent Hawk agents and recruit several former members of the unit into their team, including bailing one member out of jail. One man may turn out to be a Kurita double agent. The group finally seeks out Dr. Edward Tellhim, a queer and reclusive scientist who will only speak to them after they answer a number of scientific questions (requiring a medical doctor and a trained tech to be among the Crescent Hawks). Dr. Tellhim then repairs the holodisc and points them to the entrance to the Star League depot. When the Star League depot is found, Jason enters alone. The installation turns out to be a maze where access codes have to be downloaded from computer terminals in order to open doors that reveal further parts of the bunker, with more doors and more computer terminals. Ultimately, power is restored to an old communications station to call for help. Katrina Steiner arrives at the depot with a heavily armed DropShip and at that point the Kurita attack falters. Commando - When he joins Jason, Rex Pearce owns one which is parked in the starport's 'Mech garage; it seems to be the only one in the game that the player can acquire. No Commandos are encountered among the Kurita forces, although they sometimes appear as opponents in the Arena. UrbanMech - When borrowing a 'Mech for Arena combat the player may receive an UrbanMech in very rare cases. Like other borrowed 'Mechs for Arena combat it can be stolen by blasting a hole in the Arena wall and escaping with the 'Mech. Any such attempt to steal a borrowed Arena 'Mech leads to a response by two Kurita UrbanMechs and causes the starport to be off-limits for the player fortwith. The UrbanMech can also appear as an opponent in Arena combat. Jenner - Four Jenners assault the player in the last training mission. It may technically be possible to salvage one if all four are defeated in battle, but this is prohibitively difficult to the point of being considered impossible. Jenners do not appear in random combat encounters, but may be encountered at the arena; however, this is extremely rare. Chameleon - Jason's training 'Mech is the only Chameleon and also the only medium-class BattleMech available in the game (all others are light). It may be secured for the Crescent Hawks if the player manages to escape from the attacking Jenners (which does not require him to actually destroy them). Phoenix Hawk LAM - Jeremiah Youngblood's LAM is found in the Star League facility, but it cannot be used in the game. Javelin and Spider - Some versions of the game (namely the Commodore 64 version) are said to include these two 'Mechs as well, which would (very rarely) be encountered among the Kurita patrols, and could be salvaged if defeated in combat and kept by the player. The techs at the Mechit-Lubes maintain a "Speed Shop" where they offer to modify certain 'Mechs to substantially increase firepower by removing jump jets or inefficient weapons and mounting new ones instead. These modifications are always applied one after another, i.e. the second modification requires a given 'Mech to have undergone the first modification previously. Second modification (17,600 C-Bills): SRM-6 (and ammunition) exchanged for a medium laser in the head and a pair of small lasers mounted on both legs and the center torso for a total of six. This upgrade is referred to as the "Blazing Inferno" variant. It is not possible to get modifications for other 'Mechs such as the Chameleon or UrbanMech. The first computer role-playing game set in the thrilling world of the Successor States! In BattleTech: The Crescent Hawk's Inception, you are Jason Youngblood, a mercenary cadet with a legacy to uphold and a life to save - your own. Besieged by Kurita and Liao Warriors whose training far surpasses your own, you must learn quickly, act carefully, and choose your friends wisely. To the Archon, your life may be cheap - but your value is great. The Crescent Hawk's Inception brings the depth and complexity of BattleTech warfare to life on your computer screen. 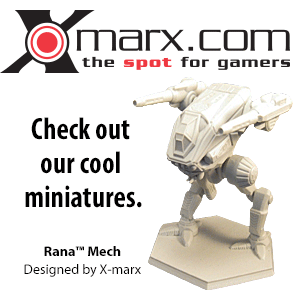 Rich animation and strategic combat plunge you into the heat of 'Mech warfare and the steely heart of the MechWarrior. The training and skills you accumulate throughout the game - including within a multi-play gladiatorial module - will determine the outcome of your battles...and the fate of the House of Steiner. The Crescent Hawk's Inception was developed by Infocom, creators of Zork and Hitchhikers Guide to the Galaxy, and Westwood Associates. It will be available in the fall of 1988 for IBM and 100% compatibles, Commodore 64/128, Apple II, and others. Ask for it at your local software retailer, or call Infocom at (617) 576-3190. This page was last edited on 27 February 2019, at 14:01.